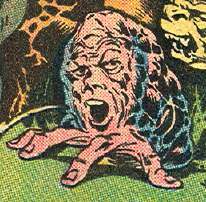 When wondering about how many “classic villains” Swamp Thing actually had, I totally forgot about Cranius, the most Un of all the Un-Men, until my blogging brother Tim O’Neil was good enough to remind me of our brain-handed friend. Don’t worry…I’m not going to get all Cranius-crazy on you again, but yeah…the return of Cranius. Wouldn’t that be something if that were the case? Anyway, in some site news…I almost decided to fix the commenting settings to require names and email addresses from folks who want to leave a comment, but decided I didn’t want to inconvenience everyone. Besides, it’s not as if someone couldn’t stick a fake email address in there or anything. However, I can ban IP addresses…I don’t want to, and hopefully I won’t have to. Here are some Frank Frazetta-inspired Cerebus drawings by Dave Sim…including a interesting color commission that sort of expresses Dave’s feelings about superheroes. Finally, one of these “Keep Calm” things that I actually like…almost certainly because it features a certain Little Stuffed Bull of some note. Andrew picked a good’un for the latest installment of Nobody’s Favorites…but mostly I’m just jealous of that post title that I wish I’d thought of first. 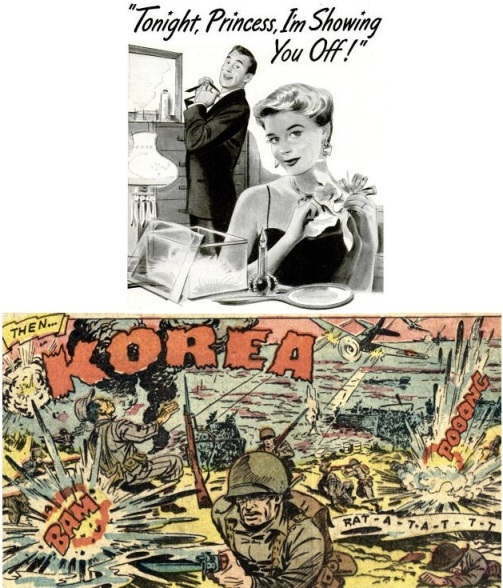 And now, some “Then…KOREA” pics. 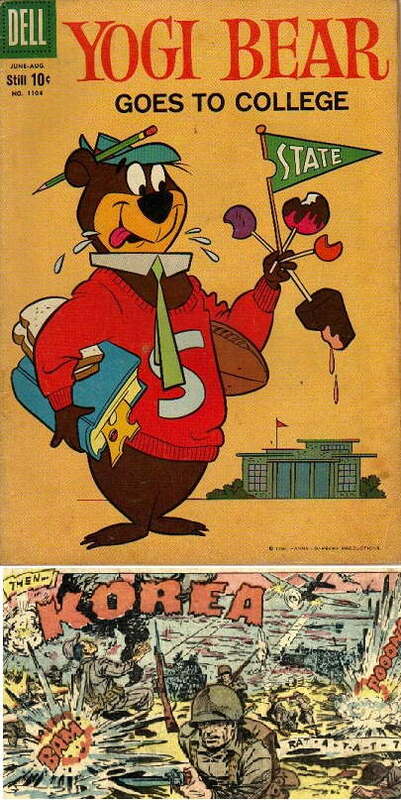 You probably have one more Korea post in you before you jump the shark on that. I think Then…Korea has legs. Time to start a Tumblr. I’m posting this just to make sure it wasn’t me who is causing any grief.This is my favorite site unless Rich gets going again and would hate to think I gave offence. Unknown commentor pushes favorite blogger too far.Then….Korea! btw,thanx for the Snyder link.That guy sure gives great interview. 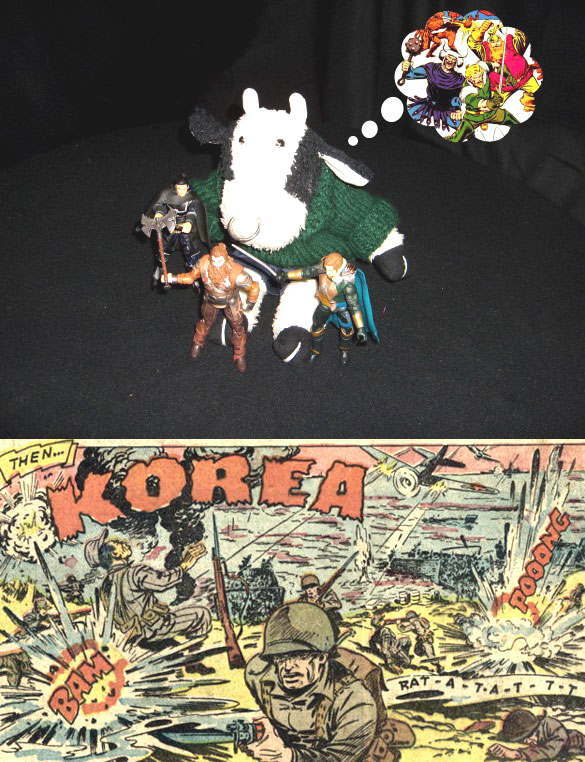 I knew the Korea thing was going funny places…and knew Bully would weigh in fairly quickly. Mike, I’m sure you talked about this at some point (I tried a search, I really did), but what was your take on the Un-Men Vertigo series? I read the 2 trades recently and thought it was pretty entertaining. There are scant references to Swap Thing, and it just sorta goes off on its own direction both of which probably made it better than trying to tie it too closely to the DCU/Vertigo U. In fact, the story would have worked just fine without any tie to Swampy, although I suspect the series probably wouldn’t have lasted as long as it did. Cej – I thought I had an overview, too, but I think instead it was an email discussion with the book’s writer where I covered what I thought of the series, and thus not publicly available. However, I thought it was a pretty good series…took some time to get going, but after a few issues I was getting into it. I know it was a typo, Cej, but SWAP THING is a vertigo series a lot of us fanboys would buy.